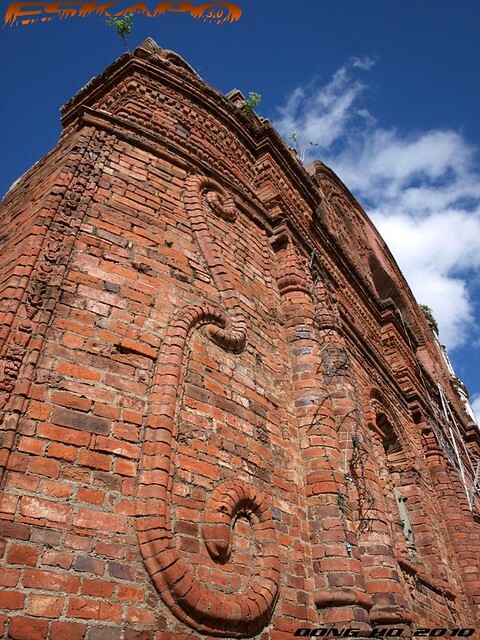 an ornamented brick was interesting but a church made up of ornamented bricks led me to visit a town North of Isabela province or approximately 475kilometers from Manila. that meant long sleeping hours in the bus. 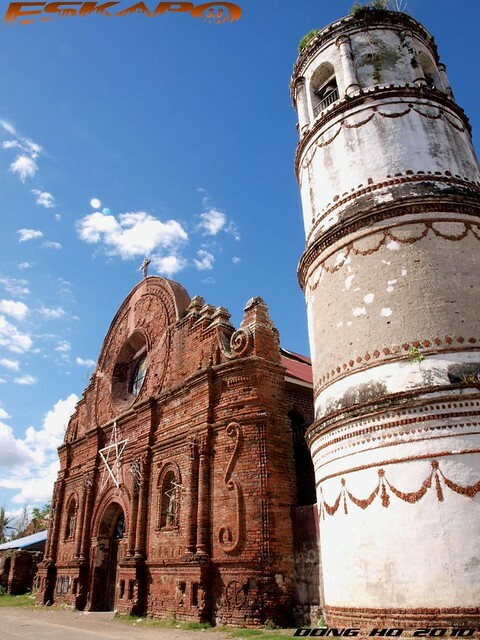 so we took the plane on our way to Tuguegarao with Palaui as our main destination but i decided to take the bus back to Manila to grab the chance of dropping by one of the beautiful landmarks of the province of Isabela, the church of St. Matias in town of Tumaini. 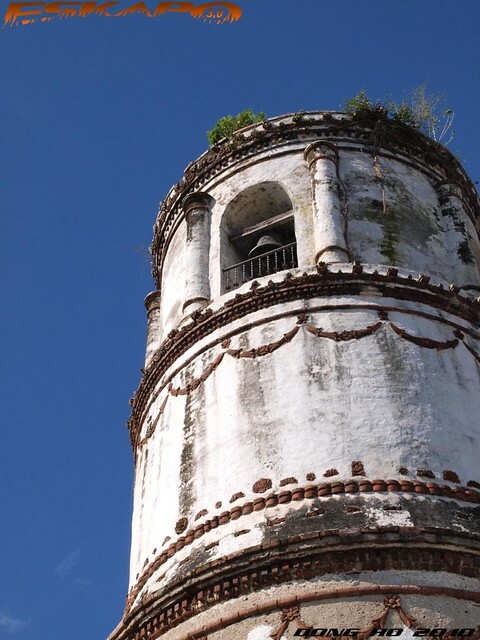 it is known for its unusual bell tower standing like a tiered wedding cake with hanging ornaments. its paint already diminishing, on its peak plants are growing. built during the time of Fr. 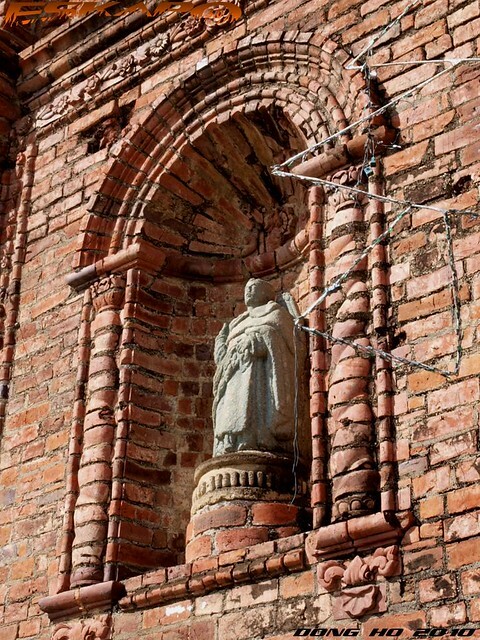 Domingo Forto around 1783. declared as a National Historical Landmark by the government in 1989.
when i saw it from afar, this brick church doesn't surpass the many bricks of the church of Liliw in Laguna. but when i looked at its pillars and corners closely, that's when i found those ornamented bricks. truly impressive. with the main door closed i assumed that i wasn't fortunate enough that time to see its interiors, but instinct says there's a way in somewhere. so i dropped by the church office and people said that the church is closed because it was damaged by typhoon Juan. i remember that our flight to Tuguegarao was almost canceled as we were there just few days after the typhoon and some areas along the Cagayan river were still heavily damaged. 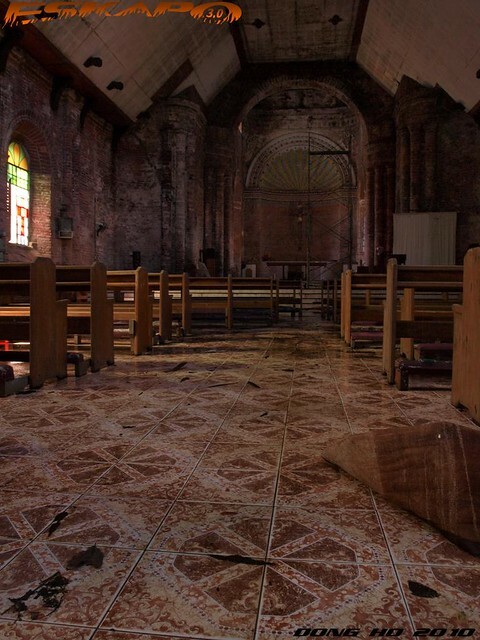 the caretakers allowed me to get inside the church which was still at its devastated state. water was still dripping inside, kneelers moved and part of its roof opened. 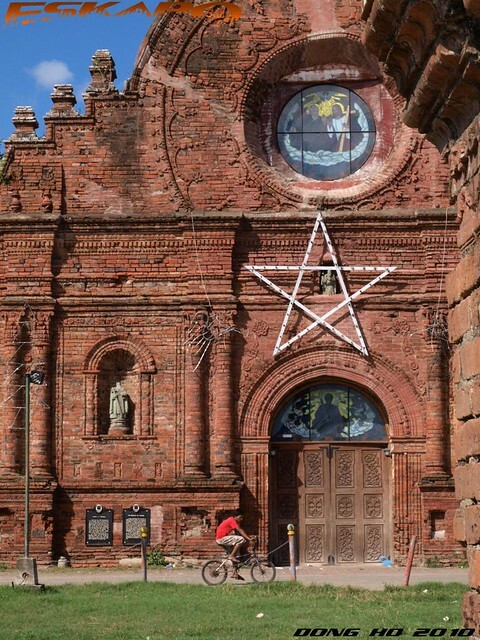 in a country like the Philippines, one knows that the churches are among those structures that withstood the many natural calamities. often re-structured, refurbished but retains as an abode to Christians whose faith are built on a Rock. option 1: take a plane to Tuguegarao (one hour) from Manila. since Tumauini is located South of Tuguegarao, you have to take a bus (45minutes - one hour) that goes to Manila or Ilagan (Isabela province capital town). tell the bus driver or collector to drop you at the central town of Tumauini. then take a tricycle ride to the church which is just a short ride from the highway. 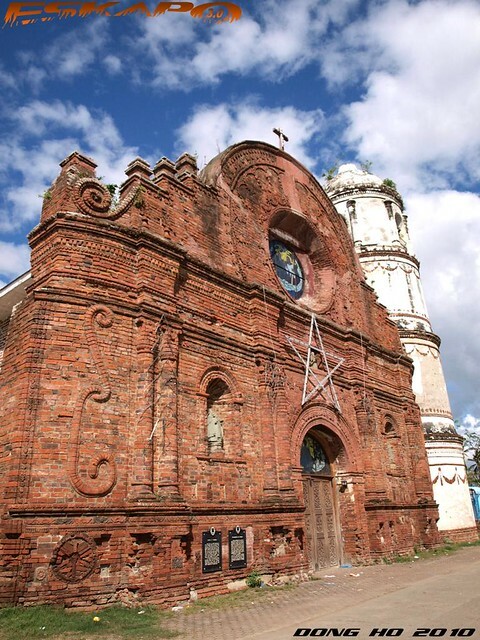 option 2: take a bus to Tuguegarao which will pass by the town of Tumauini. tell the bus driver or collector to drop you at the central town of Tumauini. then take a tricycle ride to the church which is just a short ride from the highway. 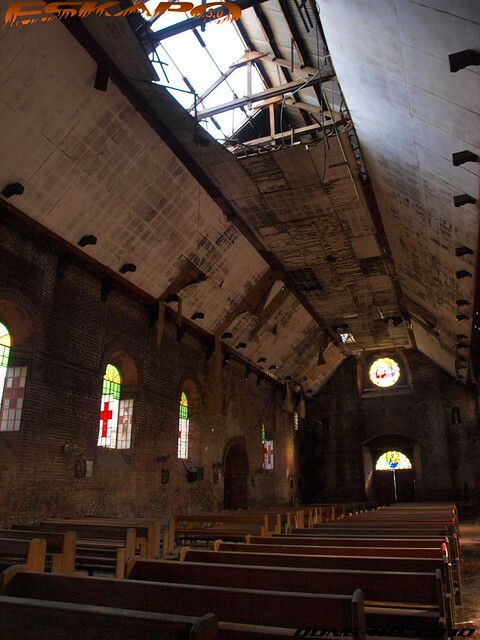 Do you have a series about Liliw's brick church sir? I only know of one kasi, the St. John the Baptist Church. That sure looks like a tower cake! ang galing nung bell tower, parang wedding cake nga at ung ornamented bricks..i havent seen one before. The trip to these kind of places excite me, it's just that when you go to these kind of places, you are supposed to concentrate onthe beauty and i cannot do it just now wtih kids tagging along! Heaven isn't really too far away, that's why we have churches. :-) I like this series, dong. Beautiful! now that belfry is really something! how unique! i love brick structures, they have a certain character. sayang di mo nakita ang altar. terrific shots. The color of the bell tower is quite a contrast to the church itself but it still looks grand & beautiful. Too bad it got damaged from a recent typhoon - hopefully, the ceiling's structure is still sturdy enough for people to safely go back in. nomnomnom. nakakagutom! food blogger ka na! When I was in CDO and saw that it will take me a 300 plus kms on bus ride going to Davao (or Zamboanga), I digressed with the thought. Traveling from CDO to Bukidnon was already a challenge for me considering that it's less than 100kms only. I agree with Ellen, sana marestore uli sya,one of our treasures indeed! gandang ganda ako sa church at curious na curios na talaga ako kung panu mo na-aachieve ang ganyan ka SHARP na shots. anung secret Dom? or it's all in the lens that you are using? Very unique and beautiful church. Sorry for not visiting your blog sooner with all the merry making over here, I am still in holiday mood...lol. Sure is an interesting and elegant place. Thanks for sharing the details. 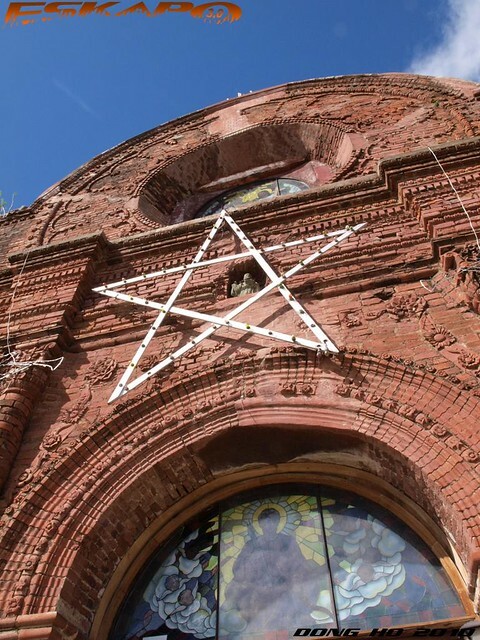 It's quite uncommon to see The Star of David which sometimes partly used in conjunction with the Seal of Solomon at the main entrance of a church. I wonder if it is trying to ward off evil. What a thrilling church, so beautiful outside ad inside! Nice sequence of images! hi dong! 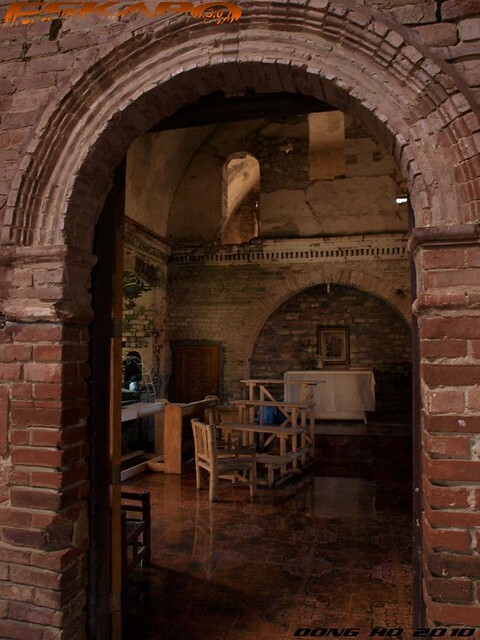 if I remember it correctly, you already featured tumauini's church here in your blog or am i wrong? hehe.. Sayang kasi, nakarating na ako ng tumauini 2 years ago, unfortunately we didn't go inside the church. dumaan lang kami. pero kahit sa malayo, kita mong kakaiba siya. galing ng shots mo lalo na dito. church always seems to be in perfect angle in your photography. bricks! I love red bricks on churches. Wow...what a beautiful church... especially the facade.